Kurt Ahrens was a well known speedway champion in Germany who turned to 500cc racing with a Scampolo in 1952 finishing third at Halle Saale Schleife in June and second in Leipzig in August. 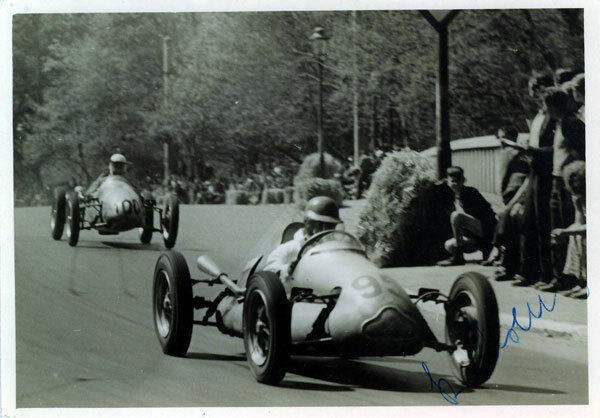 In 1953 Kurt won at Rostock in June, before switching to a Cooper to finish second in Dresden, win at Freiberg and Sachsenring, finish second at the Prinzenparkrennen and win again at the Bernau Schleife to take third overall in the German championship behind Adolf Lang and Kurt Kuhnke. In 1954, he achieved a number of places but only one win, at the Nurburgring in May. 1955 was better with wins at Leipzig in June, Halle Saale in July and Sachsenring in August. His 1956 campaign started with a win at Leipzig in May, Halle Salle in June and a third place in Dessau in September. 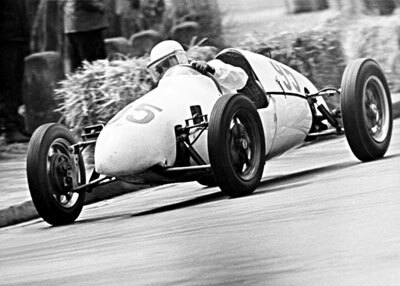 In 1957 he won at Leipzig in May, Magdeburg in July and Sachsenring in August. By 1958, Kurt Junior was racing against him, father winning the Halle Saale Schleife in April only to be beaten by Junior at Kiel a week later. At Leipzig in June, they shared the heats with Junior taking the final again. Senior turned the table at Wismar in June.